A clinical prediction rule to identify patients most likely to respond to spinal manipulation has been published and widely cited but requires further testing for external validity. We performed a pre-planned secondary analysis of a randomised controlled trial investigating the efficacy of spinal manipulative therapy in 239 patients presenting to general practice clinics for acute, non-specific, low back pain. 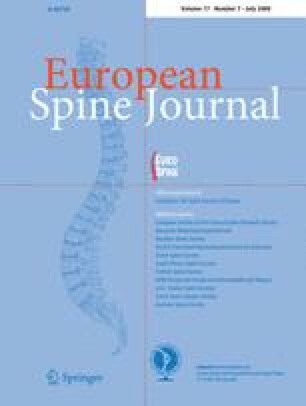 Patients were randomised to receive spinal manipulative therapy or placebo 2 to 3 times per week for up to 4 weeks. All patients received general practitioner care (advice and paracetamol). Outcomes were pain and disability measured at 1, 2, 4 and 12 weeks. Status on the clinical prediction rule was measured at baseline. The clinical prediction rule performed no better than chance in identifying patients with acute, non-specific low back pain most likely to respond to spinal manipulative therapy (pain P = 0.805, disability P = 0.600). At 1-week follow-up, the mean difference in effect of spinal manipulative therapy compared to placebo in patients who were rule positive rather than rule negative was 0.3 points less on a 10-point pain scale (95% CI −0.8 to 1.4). The clinical prediction rule proposed by Childs et al. did not generalise to patients presenting to primary care with acute low back pain who received a course of spinal manipulative therapy. The online version of this article (doi: 10.1007/s00586-008-0679-9) contains supplementary material, which is available to authorized users. The authors acknowledge the assistance of all general medical practitioners and physiotherapists who participated in the trial. We also acknowledge the assistance of Megan Spindler in helping collect much of the data for this trial. Chris Maher and Rob Herbert’s research fellowships and Mark Hancock’s Ph.D. scholarship are funded by Australia’s National Health and Medical Research Council (NHMRC). An NHMRC project grant funded the trial. The funders had no role in the design, conduct, analysis or reporting of the trial.